Christiansborg Palace has two of my top favorite rooms out of this entire trip – the reading room, and the grand staircase. The colors of this palace is also mostly in line with what I think of royalty – white and gold. We went early in the morning as it just opened so there weren’t many people and could get a clear shot of each room. The reading room contained many volumes of diaries and documents of the previous kings and queens. Almost every room has sunlight shining in and lighting up the place. At the very end, you take the grand staircase, down red carpeted floors. 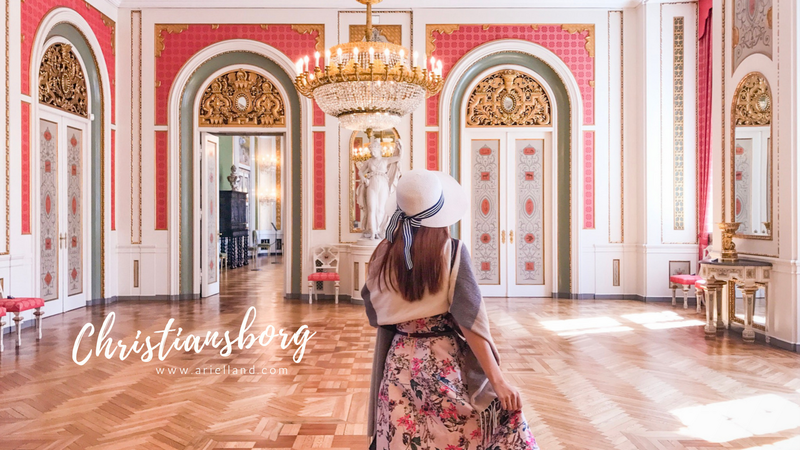 Check out the many other Palaces and Castles of Denmark under the Travel-Denmark lable on the left column of the page: Frederiksborg, Amalienborg, and Rosenborg. All the pictures look so amazing and breathtaking, the whole interior is so elegant and delicate, can't stop staring at the pictures. Lovely post, hope to read more about your trip.